There are many “professional” theologians and types of reflection on God, the biblical teaching, ecclesial tradition, prayer, the spiritual life, etc, how do you discern who to read? Sometimes the professionals lack the lex agenda (that is, the law of life) that’s required for an authentic Christian life. By nature, we worship, believe, live and act in accordance with the promptings of the Holy Spirit. It will make your head spin in trying to make a good decision on what to read and what to avoid. We know that not everything in print (or on a blog) is worth the time. 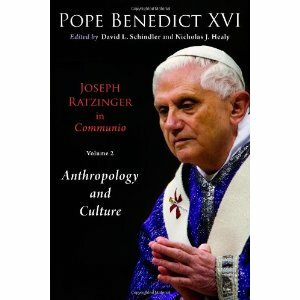 It is true, not everything in the field of liberation theology is germane to an authentic Catholic life. But that can be said of all the allied fields in theological reflection. An honest intellectual will say that you have to know what reasonable people are saying. We need less ideology and more openness to faith and reason is needed. Faith and reason are oriented in loving the truth. So while one could argue that the theological reflection of Hans Urs von Balthasar and Joseph Ratzinger is far more satisfying than Hans Kung and Karl Rahner when you read, study and pray with sacred Scripture, knowing a something of the other is good. A critical reader ought to be able to enter into a respectful and lively dialogue with thinkers; there can’t be an a priori stance that one or the other is always wrong. The default answer to every question doesn’t have to be NO. Yet. dialogue is not negotiation; openness to the other doesn’t mean you compromise the truth. The point is that we have to have an objectivity (know the the sources of claims made) about what believe and teach and live. I have long argued that a Catholic’s first theological reflection is liturgical. The maxim of St Prosper of Aquitaine guides: legem credendi lex statuat supplicant. Meaning: The Church’s faith precedes the faith of the believer who is invited to adhere to it. When the Church celebrates the sacraments, she confesses the faith received from the apostles – whence the ancient saying: lex orandi, lex credendi (or: legem credendi lex statuat supplicandi, according to Prosper of Aquitaine [5th cent.]). The law of prayer is the law of faith: the Church believes as she prays. Liturgy is a constitutive element of the holy and living Tradition (Catechism, 1124). Let’s start here rather than attend to confessional lines of how catholic one is, or not. The point of theology is reflect in a public way who God is and God’s grace operative in our world. Theology is in pursuit of wisdom and of making disciples. A 2008 blog post at Erenikon, “What is Orthodox Theology?” asked the same questions regarding but for the Orthodox believer. I would say that much of is held and live in the Orthodox Church coheres with Catholic theology. Several Catholic theologians I know use the thinking of professional theologians who belong to the Orthodox Church. Subconsciously we are still studying the history of doctrine as a history of philosophy, and therefore we are bound to miss the very thing. For both theology and doctrine are not philosophy. It is not a speculation on religious topics or problems, even as it does not exclude the theological use of reasons. But it begins, earnestly and emphatically, with revelation — not with an innate “revelation” of the truth in the human mind, but with a concrete Revelation in history, with a true encounter. It is a personal datum — not because it is a private business of human personalities, but because it is a self-disclosure and challenge of a Divine Person of the Personal God. In the years since Blessed John Paul introduced his desire to have new work on knowing, living, and sharing the truth of the Catholic Faith, there’s been a lot of good energy for the new evangelization. You can think of the Tear of Faith, the encyclicals of the recent popes, and most crucial has been Benedict XVI’s establishment of a Vatican office to spearhead evangelization efforts. Getting to the heart of what the new evangelization means, how it’s supposed to “look” and why it needs our attention is slowing being revealed. I have to say that too many use the word evangelization without precision and without real content and experience. Nevertheless, since John Paul and Benedict, now with Pope Francis we have a new awareness of evangelization’s aim: and affection for Christ and to offer a reasonable proposal for faith in a comprehensive way. I happen to think the Holy Spirit is working diligently and effectively in having us slowly develop the needed resources with regard to persons and materials. Rushing into such work would not be reasonable since it does take time to do the hard work in truly knowing the need in a time of limited resources. The immediate past Pontiff set the Church’s face on this renewed manner of living focusing us on the personal relationship with the Lord,, bridging the gap between faith and reason, and by asking us to intimately know Scripture, the Liturgy and the Magisterium (I don’t want to call the new evangelization a ‘project’ because it is about our heart and mind). A Cambridge, Massachusetts group of faithful Catholics have responded to Church’s call for a “New Apologetics,” a new way of proposing Jesus Christ as the Way, the Truth and the Life. “New Apologetics” is a contemporary way of engaging the questions which need to be addressed; those tough issues are often inadequately answered, or worse, dismissed as unimportant. This is a serious, beautiful adventure. The New Apologetics is group qualified persons working to share the beauty of the truth of the Church today, in the language of today. May Saint Thérèse of Lisieux guide this new work. Treachery to the truth today? Theologians are after divine truth and not mere human opinions. There is a danger and a difficulty about this point. We are in danger of modern disregard of theology. . . . The danger nowadays is overemphasis on non-intellectual elements. This means a kind of treachery to the truth. It used to be assumed that man is a reasonable animal. The modern idea seems to be that man is first and foremost a creature with a heart. I am not prepared, however, to give up my reason in connection with the things of God. Is Father Florovsky correct in his perception? I tend to think so….